The much coveted Good Design Awards have released their list of winners for 2017 and David Trubridge's Navicula light is one of them! The awards are the oldest and the most prestigious global awards, established in 1958. David is getting started on an experimental piece at World Wood Day in Angkor Wat, Siem Reap, Cambodia. He is there with a host of other designers including New Zealander Rebecca Asquith of Designtree Collective. 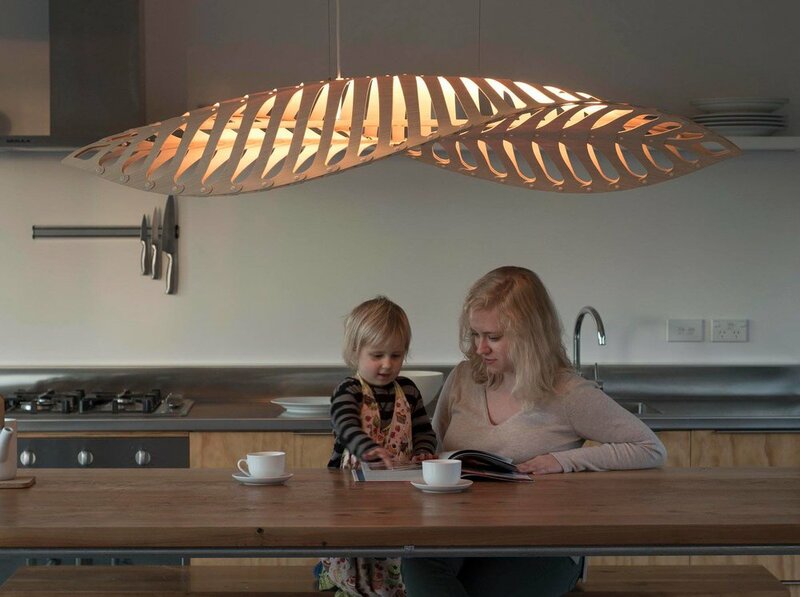 Diatom to Design - The Navicula Light provides insight into designer, David Trubridge's design process and the inspiration for his amazing new light design, Navicula. The new lacquer box collection features five fabulous pieces: Breakfast Tray, Pencil Case, Hinged Boxes (2), and a Letter Box. They will be available at specialty and retail shops this fall -- just in time for the holidays! What happens when a mason and a textile designer renovate a house together? In the case of Molly Fitzpatrick, the creative behind the colorful home wares of DittoHouse, and her husband William Sill, the result is a modern space with an attention to detail and a respect of natural materials. What makes this house's renovation really stand out is the couple's collaboration on the space; and most impressively, William has done much of the work himself. Click here to learn more about this fun, adventuresome new book! The article features the launch of DittoHouse's new Rise Collection. The Rise Collection of throw blankets and pillow covers was born out of hope for better times and “a world filled with justice and love.” Click here to read more. Fantastic opening weekend at SFMoMA -- the Rex Ray and Paul Klee show. Don't miss this one over the summer until September 10th and, at Gallery16 through June 30th.